This is an old family recipe for a sweet treat. 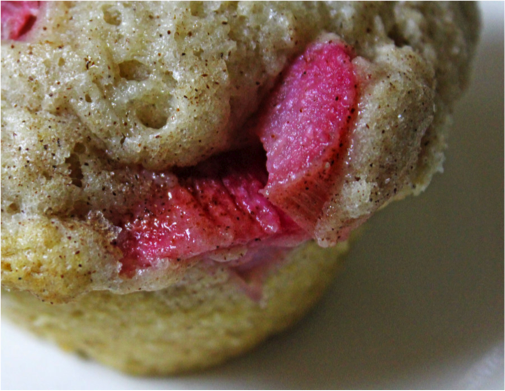 Tart rhubarb and the sweet crumb topping provide an amazing flavor combination! Combine egg, melted margarine, buttermilk, brown sugar, and vanilla. Mix well. Combine dry ingredients (flours, baking powder, soda, & salt). Mix dry and wet ingredients just until moistened. Stir in rhubarb. Fill muffin cups 3/4 full. Combine topping and sprinkle on muffins. Bake at 400 degrees F for 20 to 25 minutes.